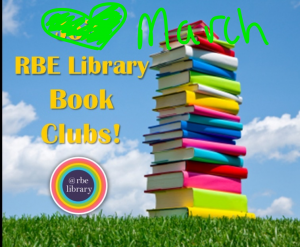 This month at the RBE Library, we are having two 3rd grade book clubs. For the boy 3rd graders, I wanted to do one of the Wimpy Kid books because I just think they are so hilarious and fun! Since it is getting closer to summer, I chose The Diary of a Wimpy Kid: Dog Days. So, 5 lucky readers joined me each Friday for lunch and we read a Wimpy Kid book! For the girl 3rd graders, I wanted to read a the first book in a series that I love that we have here in the library, Just Grace. This is such a fun read, and I hope that it will get the girls hooked on this series! So, 6 lucky readers joined me each Thursday for lunch and we read a Wimpy Kid book! Hi! I’m putting together a directory of teacher-librarian blogs by state, and I’d love to include yours. You can check it out at The Centered School Library.